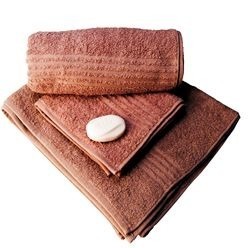 Face cloths are one of the most important items that needs to be carried by an individual all the time with him for wiping their face or hands. The best face cloth is the one that is made from premium quality material and is lightweight. Face cloths at the Giftwrap have exactly the same features. They are made from cotton with 5 line base effect. They come in different colors for you and the embroidery on them give them a distinct and classy look. We need face cloths in order to clean our faces and hands. If you are looking for a decent face cloth, the one at Giftwrap is one you cannot forget. A 440 gsm suit made out of cotton, the Hotelier face cloth is a snag free face cloth that comes with a 5 line base effect to deliver optimal results. The best thing about this is that the face cloth is unique and will withstand time. Moreover, it comes in embroidery so you can be sure that it will stand out. The hotelier face cloth is available in white, brown, beige and cream colors so you can easily choose a color according to your likes.